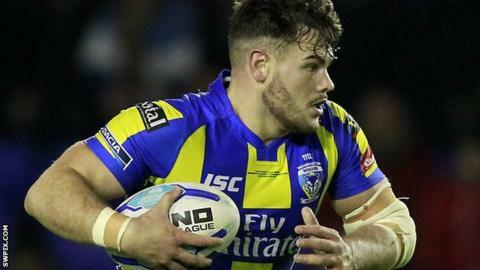 Warrington Wolves forward Joe Philbin has signed a new two-year deal with the Super League side. The Warrington-born 22-year-old came through the Wire youth system and made his debut in 2014. Front rower Philbin has spent time at Swinton and Rochdale on dual registration deals and was called up to the Ireland squad last year. "When they came to me to re-sign it was a pretty simple decision to make," he told the club website. "I struggled to get game time last year but got a little bit of a run at the back end of the season just missing out on the Grand Final, but that's made me more hungry."